Are We There Yet?? : Okay ... So ... Let's Try This Again! Just about this time last year - one year ago today to be exact - this was the view I was taking in from the bow of the ship as the Carnival Glory set out from Grand Turk and we began our voyage back to Miami with just one sea-day left on my very first cruise to the Eastern Caribbean. 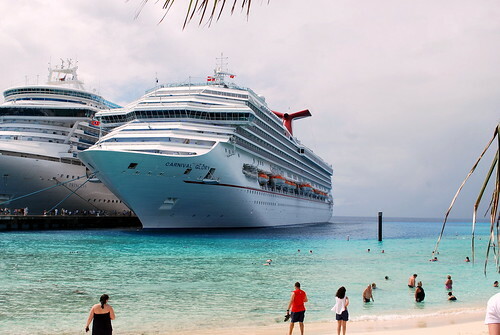 A little earlier in the day the view had looked like the one above as the ship was docked and passengers were taking advantage of the beach in Grand Turk regardless of the clouds in the sky and the rain that was occasionally falling. I figured that was going to be one of the last pictures that I ever took of the Carnival Glory as it sat in port somewhere as truth be told, I really wasn't too enamored of the whole cruising thing - or at least that's pretty much what I had told myself throughout most of our cruise. Heck, if you asked any of the other folks that I was cruising with, they'd probably tell you that I downright hated it but that wasn't exactly the case as there were a lot of things I liked about cruising along with a lot of things I didn't. Having had the chance to mull it over for the past year and look at the whole thing objectively, I decided that there was probably a lot more that I did like than I didn't like so when Barb, my cabin mate from last year, broached the subject of giving cruising another shot with a 7-day Boston to Canada itinerary it didn't take me long to say "sure, let's go!" 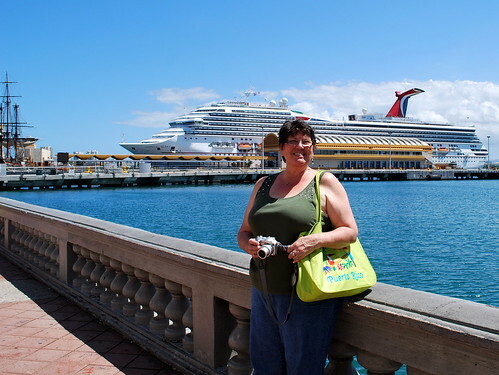 That's Barb in the picture above while we were in port in San Juan, Puerto Rico and she sure looks like she was having a great time, doesn't she? Simply put that's because she was and she did for the entire cruise as she's the type of person who knows how to go and have a good time and enjoy herself. A transplanted New Englander who has obviously learned how to relax since moving to the South, I could take a few lessons from Barb in making the most of a vacation and putting some yay in my day! 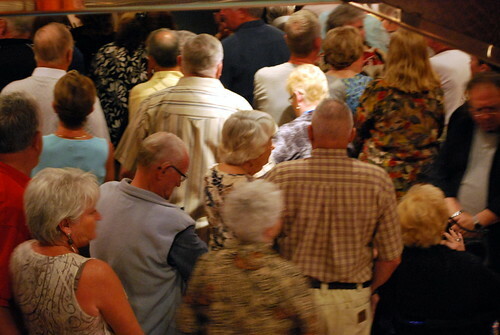 No doubt there have been those who have scratched their heads and wondered why on earth Barb would even consider going on another cruise with me when I didn't particularly like the last one which is fair enough but allow me just to say that Barb knew the parts of the cruise that bothered me and the parts of the cruise that I liked and she understood why I was feeling the way I was. 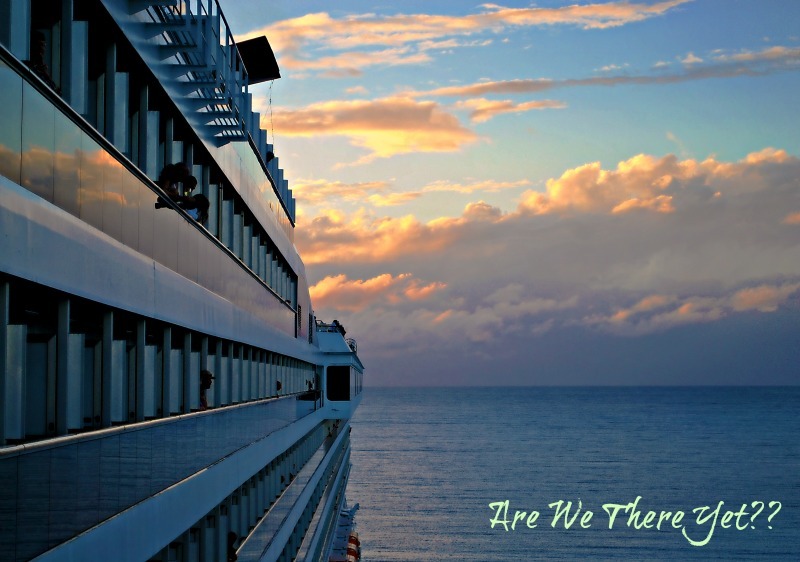 Because of that - and because she really, really wants to go on another cruise! - Barb is willing to take another chance on me and hasn't written me off as a complete and total loss in spite of my past performance! As it turns out, the cruise that we'll be taking out of Boston on June 3rd just so happens to be on the exact same ship that we were on last year at this time which strikes me as either very ironic or very fortuitous. Yep, I'll be cruising on the Carnival Glory again and giving her a chance to show me what I missed the last time and change my mind about that whole "I'm not so sure about cruising" thing. Even though it might have been nice to try a different ship, I consider this to be a bit of a plus as I already know my way around the ship and I also know exactly where my favorite spot can be found. 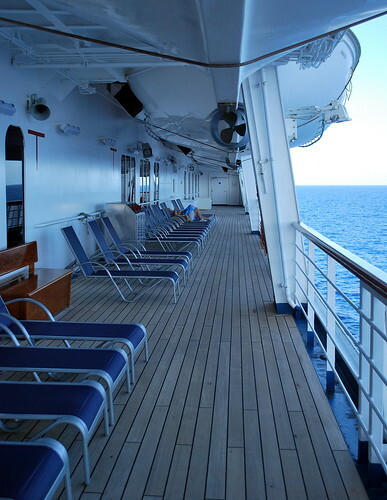 Hello Deck Three - I've missed you! ... as we sail from Boston to Portland and then on to Saint John and Halifax. There may not be tropical beaches but there will be lots of lighthouses, the bay with the highest tides in the world, and a friend who hasn't given up on me! Sounds just about perfect I think! For those who wish to start placing bets that I'm not going to like this cruise any better than I did my last trip on the Glory, feel free to wager away but be prepared to lose as I have already promised Barb that I have every intention of enjoying every minute that I can and that's a promise that I aim to keep - honest! YAY! I have no doubt that we shall be putting lots of YAY in our cruising days! Will you be getting another pedi, too? There's that pesky toe inspection, after all. Tiaras and painted toes and Warm Chocolate Melting Cake and chilled soups and room service and smokeless piano bar, and shows, and comedy clubs and karaoke club, and lighthouses... here we come! And perhaps even lunch with a BrotherDear in Portland! According to my countdown time, 91 days to go! I hope you ladies have a fantastic time. I'm still in that "I'm not so sure about cruising" category. It doesn't seem to be my thing. Not that I know what my thing is. Changes in attitude, changes in attitude...ta da! I know you will have a YAYFUL cruise with Barb on the Glory! WWWT2:( This post brought back smiles and good memories...Sarge, Bee, Sandee, Zane. And John. Can't wait to cruise along with y'all, cyberly at least. 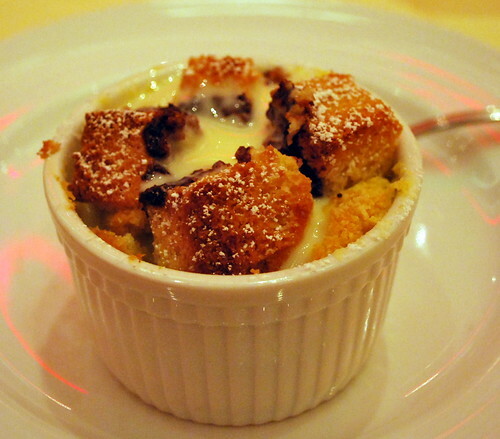 i know you'll love it, what's not to love? and the glory is a wonderful ship, love love love it! I think you will do fine if you can stay connected to your technology. I think that is what bugged you the most. Just saying. I'm sure you and Barb will have a fantastic time. I know you guys are going to have fun! Maybe the northern route is just what you need. I'm not a tropical or beach kind of guy, so I've never been all that interested in southern cruises to Mexico or the Caribbean. But Alaska? That sounds really interesting to me. I think now that you know what to expect, it'll be a better experience. that top shot is beautiful!! Yay glad your giving it another try! elmo always says sometimes you have to try something over and over before you like it. 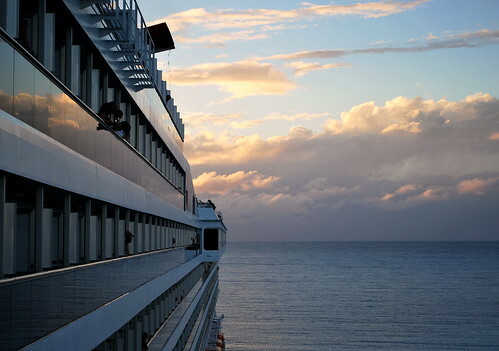 You've got the right idea about cruising.